What Is Cry It Out Method? 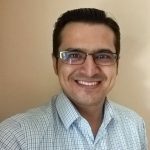 How Do Cry It Out Methods Work? Does Ferber Method Work With Naps? What Are The Benefits Of Cry It Out Method? Are There Any Negative Consequences Of Cry It Out? Imagine waking up to a shrill cry! You and everyone else is worried about why your baby is suddenly awake and crying his lungs out. Then you need to console him, and gradually put him to sleep. This process can take anywhere from a few minutes to a couple of hours. And it is not just a one-day affair but happens every day so much so that you wake up in the night and wait for your baby to cry! How nice would it be if the baby could cry it out and then fall asleep on his own? You would be glad to know that this is possible, and there are cry it out methods for babies to go back to sleep by themselves with little assistance from their parents. But what is this method, how safe is it, and should it be employed at all? MomJunction is here to answer all those questions and teach you the cry it out techniques. Cry it out is a sleep training method where parents let a woken up baby cry alone for a predetermined time before intervening to soothe the baby back to sleep. 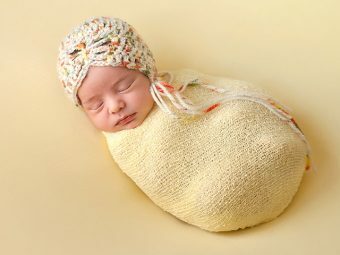 The objective is to teach the infant or toddler to self-soothe and fall asleep. ‘Cry it out’ is a colloquial phrase for several methods that advocate letting a baby cry himself to sleep. The scientific name of this sleep training procedure is ‘graduated extinction’ (1). The idea behind cry it out methods is to slowly increase the time taken by a parent to soothe a crying baby. This leads to the little one finding ways to self-soothe, eventually. There are different types of cry it out methods, but Ferber’s is the most popular one. This sleep training technique was proposed by Dr. Richard Ferber in his book Solve Your Child’s Sleep Problems. Just like in cry it out method, Feber method also involves an incremental delay in the time taken by parents to pacify a crying infant, eventually making him adept at falling asleep with zero parental assistance. The use of Ferber method is informally called ‘ferberizing’, and a baby trained this way is described as ‘ferberized’. Step 1: Put the baby in the crib when he is drowsy, but not asleep yet. Step 2: Say goodnight, give a kiss if necessary, and leave the room. Step 3: If the baby cries out, then wait, and enter the room to calm the baby, but do not pick him up. Also, do not switch on the lights. Limit your stay to a minute. Step 4: When the infant cries again, do not go immediately, but wait for some time. Thus widen the intervals between the time the baby cries and the moment you enter the room. Step 5: Follow the same routine for the rest of the night. The waiting time plays a crucial role in Ferber method since it needs to be consistent. Therefore, maintaining a schedule helps make things easier. After the first week, you can increase the waiting time by five minutes per visit. Can A Baby Sleep With Toys And Pacifiers? Ferber method recommends against the use of any object, such as a toy or pacifier, that the baby can associate with sleep. Toys can also be a choking hazard while sleeping as they can lead to sudden infant death syndrome (SIDS). However, it is a different case with pacifiers as they reduce the chance of SIDS. In fact, the American Academy of Paediatrics recommends giving the baby a pacifier during bedtime (2). You could choose to give or not give a pacifier to your baby. The Ferber method is ideal for night time sleep than daytime naps. Night sleep is important because babies sleep lesser during the day as they grow and, therefore, need to sleep for longer hours in the night (3). Ferber method is the most popular of all the cry it out methods. But, you could try other methods as well. Modified Ferber method: Those who find Ferber method too harsh can try the modified Ferber method. In this method, the parent goes to check on the baby every five minutes until the baby falls asleep. Unlike Ferber method, here the parent maintains a consistent waiting interval of five minutes between each minute-long visit. If the baby seems calm after a few visits, then the parent may decide to check on the baby only when he cries again. This method is also called controlled cry it out method as the parent is able to modulate the baby’s crying through frequent, short visits. No tears method: The parent puts the baby in the crib, pulls a chair, and sits next to the baby till the little one falls asleep. The next night, the parent sits with the chair farther away than the previous night, but within the baby’s line of sight. The parent increases the distance gradually every night and eventually leaves just the chair in the room. It gives a pseudo-assurance to the baby that the parent is near him. Some experts consider this method a better alternative to the conventional cry it out methods, as it does not make a baby cry till exhaustion (4), and is rightly called no tears method (5). It is also referred to as “camping out”. ‘Sleep lady’ shuffle: It is a modified no tears method. The parent distances the chair ultimately placing it outside the door yet sitting on it till the baby falls asleep. The distance is increased till a point where the baby cannot discern the parent’s presence. From the next night, the parent leaves the door open, and probably the chair as well, but does not sit on it. The baby assumes that the parent is seated somewhere beyond the door and feels comfortable. Bedtime fading method: The more tired the baby, the better he sleeps – this is the idea behind bedtime fading method. Parents wait for the baby to be extremely exhausted and thus fall asleep. Then they put the baby in the crib. The time is noted and, the parent puts the infant to bed exactly at the same time every night. Maintaining a schedule makes the baby sleepy at a fixed time and makes it easier to for him to get sound sleep. Weissbluth method: The Weissbluth method was proposed by a pediatrician, Marc Weissbluth (6), and the fundamental concept is similar to ferberization. In Weissbluth method, you put the baby to bed the moment he shows the first signs of drowsiness. Once placed in the crib, you leave the infant and do not attend to him no matter how distressfully the baby cries. The little one is completely on his own to self-soothe and fall asleep. Weissbluth method is perhaps the harshest of all cry it out methods and heart wrenching for most parents. However, experts believe consistent utilization of this procedure can yield favorable results (7). Cry it out methods may sound harsh but do have their share of advantages. Several parents have successfully helped their babies fall asleep peacefully. Babies feel less stress: A study among infants noted that babies trained with cry it out methods had less cortisol, a stress hormone (8), and, the researchers directly correlated the low-stress levels to better sleep. Good for parent’s mental health: The same study tested for the levels of stress in the parents. It found that parents who invest time in cry it out sleep training are less stressed as they do not have to wake up multiple times at night. A boost to the parent’s mental health motivates parents to raise the infant better. Babies fall asleep faster: After a week’s training, a baby is able to fall asleep within 15 minutes of being in the crib. According to experts at the University of Michigan, falling asleep alone is an important life skill, which is made possible for babies through cry it out methods (9). 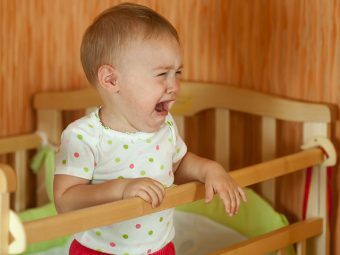 No change in baby’s behavior or social skills: Long-term analysis of cry it out-trained infants has proven that contrary to popular belief, cry it out babies are at par with their non-cry counterparts, in terms of behavioral and social traits. 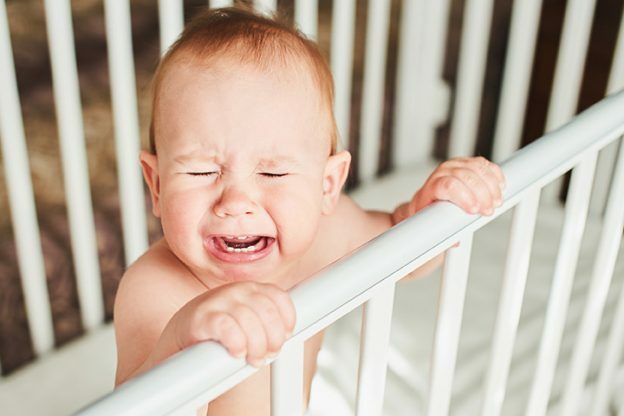 Considered safe by the American Academy of Paediatrics: The American Academy of Paediatrics considers infant sleep training through cry it out as safe and cost-effective (10). It recommends parents and physicians to confidently give the method a try. There is a flipside to the cry it out method. 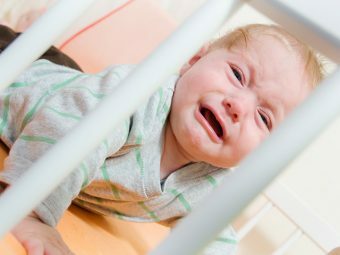 Cry it out may cause brain damage: Researchers from Harvard University concluded that ignoring a baby’s wails can cause long-term damage to the brain’s neurons leading to hypersensitivity towards any future trauma (11). The damage to the brain alters the way a nervous system functions. The study concludes that infants require touch and attention for healthy growth and there are better ways to sleep-train than letting infant cry. Babies have prolonged stress: Challenging the “low infant stress” hypothesis, another group of researchers found that infants display consistently high levels of stress hormone (cortisol) at the beginning of the cry it out training (12). 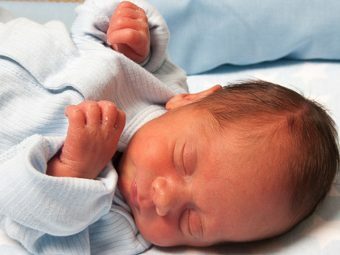 This level persists even after the baby has stopped crying, indicating that sleep training has negative repercussions even in his waking hours. Dents relationship between parent and infant: The first two years of a baby’s life are crucial for establishing a positive attachment with parents. Babies communicate through crying, and if it does not elicit a reinforcing positive response, then the baby could develop a sense of detachment from his caregivers. Such infants grow up to have insecurities..
May affect maternal love: Experts point out that mothers need to override their maternal instinct to subdue the urge to console their crying infant. This could hamper her faith in the ability to raise her baby properly. Her trust in maternal love may erode, and could be reciprocated by the infant who may no longer see her as a protector and caregiver. Could increase risk of SIDS: Cry it out method can increase the chances of SIDS primarily due to the isolation (13). Leaving the baby alone in a dark room with the door closed can lead to an untoward incident. Cry it out method has its share of supporters and detractors, making it a tightrope walk for parents. While there are pros and cons of cry it out method, most researchers agree there is no definite way to support or contradict this technique (14). Studies that support cry it out rely heavily on personal experiences, which could be subjective. Researchers who undermine it have too small a sample size to reach a consensus. Despite these factors, pediatric experts agree that parents can give a try to cry it out provided they observe some precautions and be gentle with the baby. 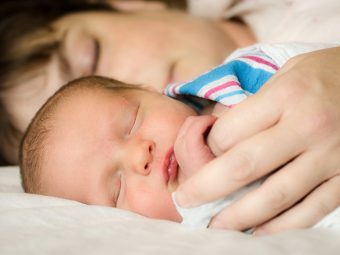 Baby must be older than six months: The infant should be at least six months old before you give a shot to any sleep training technique. Some experts believe 12 months is the best age to start sleep training (15). Do not train if the baby is ill or teething: A baby is under stress when sick or teething, and would wake up in the night crying. Sleep training is only going to add to his anxiety. Not suitable for babies with mental disorders: Sleep training can be stressful for a baby clinically diagnosed with an autistic spectrum disorder. Such infants can have trouble coping with any form of negative stimulus. Leaving them alone to cry does not help them sleep better, and you must take professional help. Do not force the baby to adapt: Give your baby time to adopt. Also, decide by what age you would want to make him sleep independently. A baby who cries for an hour if left unattended is surely not a suitable candidate for sleep training. Discuss the plan with your partner: Weigh the pros and cons. Consider the ways you both can synchronize to make it work. If you have other family members, then ask them to be prepared for unattended baby cries in the middle of the night. Having a discord later may come at the cost of the baby’s training. Maintain a bedtime routine: Stick to a routine every night such as bathing the baby or reading him a book. That way, the baby knows that it is time to sleep and, thus, he will soothe himself to sleep. Expect some disappointments: There are going to be several sleepless nights, followed by peace. By the time you get cozy, you realize the baby is awake, and you have to begin the process all over again. Be well-prepared to shuffle between moments of angst and calm. If the infant has successfully adapted to a sleep training method, then stick to it. Avoid temptations to break the protocol and soothe the baby. That is going to ruin all your hard work. You can make an exception when the baby is ill. Consistency is the key with the cry it out method. Remember it may work differently for different infants. If in doubt, feel free to consult your baby’s doctor. Be calm and patient. Babies grow quickly, and learn to sleep through the nights. If you have sleep trained your baby, share your experience with us by commenting below. When Can A Baby Sleep With A Pillow?